Control of the Dangers from Defective Vision. A rare original article from the Harper's Monthly Magazine, 1883. - ---. ---. - Control of the Dangers from Defective Vision. A rare original article from the Harper's Monthly Magazine, 1883. 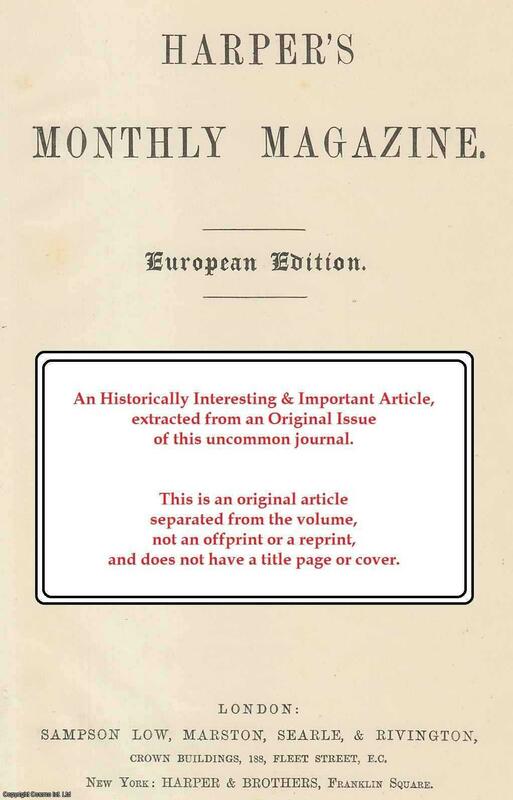 Harper's New Monthly Magazine, Vol.68, 1883 - 84. 1883. First Edition, Disbound. Very Good Condition. Large Octavo. 5 pages. Note; this is an original article separated from the volume, not a reprint or copy. Multiple copies available this title. Quantity Available: 2. Category: Harper's Monthly Magazine; Inventory No: 152856.